For our end-of-year story, NJTechWeekly.com posed one question to several thought leaders in New Jersey: Besides money, what’s missing from the New Jersey tech startup ecosystem? The goal was to try to get to the heart of why the state’s startup community seems to always take one step forward and two steps back. We asked these thought leaders to pick one thing to discuss, but many couldn’t pick just one. While the tech startup ecosystem in New Jersey has come a long way in the nearly five years that NJTechWeekly.com has been covering it, there is still a long way to go. Perhaps by uncovering some of our weaknesses, we can address them and make our community stronger. 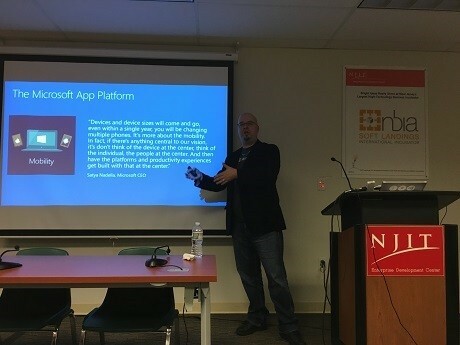 Nick Landry, Microsoft’s New Jersey senior tech evangelist, says the community needs a central place in which to congregate, more developer events with deep technical content, and better outreach to students. Geography is New Jersey’s own worst enemy. Being the most densely populated state in the U.S., wedged in between New York City and Philly, New Jersey makes it hard for tech entrepreneurs and developers to meet in a central location. The largest tech meetup in the state is based in Hoboken, which is virtually New York City at this point. New Jersey needs a central location (with easy parking) where entrepreneurs and developers can meet in greater numbers (e.g., New Brunswick or Edison). The tech ecosystem is very entrepreneur-friendly, but often fails to attract the actual developers who can do the work. We need to attract more events with deep technical content for developers without requiring a trip to New York City or Philly, but those events are not worthwhile for organizers and sponsors if attendance numbers are low. What we truly need is more promotion of events across New Jersey meetups and other communities to increase attendance across the board. Allow me to add that the New Jersey tech entrepreneur community needs to do a better job of reaching out to tech student communities (e.g., Princeton, Rutgers, Stevens, NJIT, Montclair, etc.). There is a heavy segregation, with very little commingling. Students are the next generation of entrepreneurs and we need to engage with them now. Bret Morgan, an organizer of the Jersey Shore Tech Meetup and founding partner of Cowerks (both in Asbury Park), also believes that we need more cohesiveness in the state. I think New Jersey’s tech entrepreneurial community has made incredible strides over the past few years. The sheer presence and number of meetups and events like the launch of Newark Venture Partners are a clear indicator that something big is going on. If I had one criticism, it would be that there seems to be a lack of cohesiveness among these groups and individuals pushing our communities’ agenda forward. The meetup and event landscape has gotten very noisy over the past 12-24 months, and I think it’s not only fragmenting New Jersey’s fledgling tech revival, but creating so much noise that it’s often confusing for someone trying to get more involved. 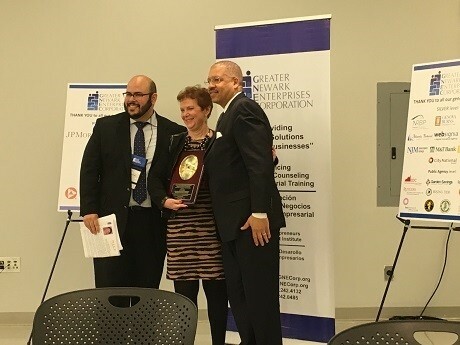 Judith Sheft, associate vice president of technology and enterprise development at the New Jersey Innovation Institute (Newark), wants to see more engagement from established businesses in New Jersey. The New Jersey economy has a mix of small and large companies, established corporations, scaleups and startups, technology-based businesses and main street operations. I would like to see more engagement from the established businesses with the entrepreneurial ecosystem, particularly supporting our startups. Startups could use advice from corporations on how to collaborate with them, how to sell to the corporate entity, how to access their facilities and resources and how to leverage their networks and contacts. One program that I have seen in New York City matches innovators and healthcare organizations to solve challenges in the health IT arena. The program, Pilot Health Tech NYC, facilitates matchmaking and pilot opportunities to enable the development and scaling of new technology to address the challenges in implementing the Affordable Care Act, improving clinical care, reducing healthcare costs and boosting consumer wellness. I would like to see a similar program in New Jersey — not necessarily focused on just health IT — in which larger established firms would be willing to partner with innovators and startups to find solutions to challenges the firms are facing. A program like this gives our startups and innovators a boost in developing partnerships and relationships with prospective customers, facilitating the growth of new businesses in the state and enabling established firms to access newer technologies and capabilities from the startups and innovators. Aaron Price, founder and organizer of the NJ Tech Meetup (Hoboken) and a serial entrepreneur, agrees that corporate support for the startup ecosystem is lacking. What’s missing from the tech ecosystem in New Jersey is corporate support. We have a plethora of large, established innovation companies here in New Jersey. They could get more involved with the startup community in many ways. Here are some ideas: lending space for community events, inviting startups in to speak, sponsoring hackathons, using empty space for coworking, adopting New Jersey startup offerings early on, encouraging employees to embrace the local startup community, championing the startup visa to recruit talent for New Jersey, and more. Hopefully, we’ll see more collaboration between large companies and the startup ecosystem in 2016.